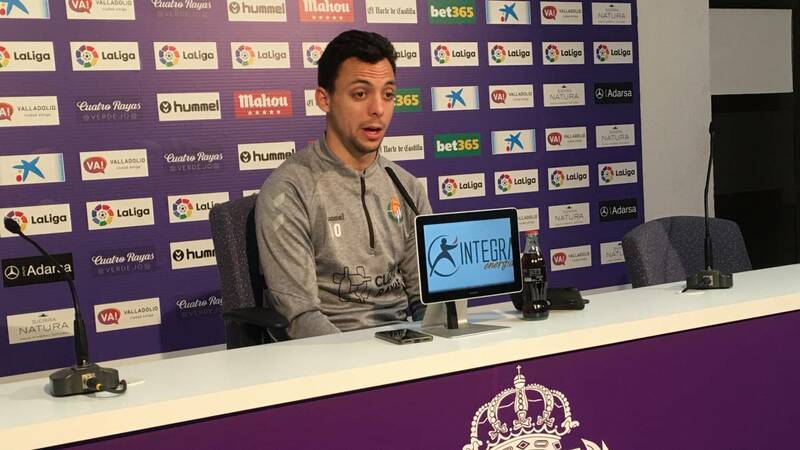 "They have less points than they deserve, they have made big games and they will not make it easy"
After his magnificent game against Celta with a goal included, Óscar Plano appeared in Zorrilla's press room to, among other things, downplay his individual performance: "I do not think it was my best game, I think the team was very good. When we all run for everyone the group notices it. In the end I was lucky to make a goal and give the assistance, but I think the next matches will be better. " As for the great positive and negative gusts that are suffering all the teams in the League, he said:" The competition is tremendously matched. They are very powerful teams and in a moment they can have a very good streak like Rayo. We had it and now we want to have it again. " Plano spoke of the importance of these two upcoming matches against direct rivals:" We must not obsess or think that because the teams that are now down are going to be easy matches. There is a whole round and you have to go strong to all the fields. " On his next rival he said: "They have fewer points than they deserved, they should be higher. We know that there they squeeze a lot, they will not make it easy for us. " Plano, who knows Guardiola from his time in Alcorcón, asked the player to work and also commented on how he saw the match referee last Sunday after the mass protest in Zorrilla: "I did not notice anything strange, he behaved normally. We must already forget about these issues. The protest was good and we greatly appreciate that people were always with us, but now it's time to focus on football. "